Avcrypt Ransomware is a rather unusual file-encrypting program, although our researchers say that the application’s strangeness can be explained by the fact the threat looks as if it is still in the development stage. In other words, the current version is most likely not the last one yet and it could be just a matter of time when hackers who created it will release an updated variant. Naturally, we do not think there would be any point to distribute such infection; at least not widely, so we doubt there could be a lot of users who would encounter it. Nonetheless, if you are Avcrypt Ransomware’s victim keep it in mind, we will add deletion instructions for manual removal below the article. Thus, if you need any help do not hesitate to use them. Further, in the text itself, users can find more details about the malicious programs working manner, its possible distribution channels, the effect on files located on the computer, and so on. The first question we will try to answer is how such a threat could enter the system. As you may be already aware file-encrypting programs are often distributed with malicious email attachments. Such files may receive targeted victims as Spam, so it is vital to watch out for data delivered by unknown senders, companies, etc. When receiving attachments always take a minute to think why they were sent to you and were you supposed to get them. In case it looks suspicious it would be advisable to scan the doubtful file with a reputable antimalware tool and so determine whether it is harmful or not. The other channels through which threats like Avcrypt Ransomware could be distributed would be malicious file-sharing web pages, unreliable pop-up advertisements, etc. It is even possible the malware could be implanted on the computer while exploiting its vulnerabilities. For this reason, we always recommend keeping the operating system and other relevant software up to date. Once installed Avcrypt Ransomware should create a copy of itself in the %APPDATA% directory. Also, the malicious program might create a value name in the HKCU\Software\Microsoft\Windows\CurrentVersion\Run path to make the computer launch it automatically after each restart. After this, the threat is supposed to begin the encryption process during which user’s photos, pictures, documents, and other personal files alike might be locked with a secure cryptosystem. To mark such data and separate it from other the infection should place a plus sign in from of the affected files' titles, for example, a picture called desert.jpg should become +desert.jpg. Unfortunately, these marked files cannot be opened because even though the system still recognizes it is a picture, the threat has encrypted it and the only way to restore it is to decrypt it. The bad news is to do this the user needs a decryption tool and a unique decryption key. Sadly, these tools are available only to the malware’s creators, and they do not even offer to sell them. It was noticed Avcrypt Ransomware leaves a text note called +HOW_TO_UNLOCK.txt. It is supposed to be a ransom note, but there are no instructions or explanations on it. The message says merely “lol n.” Given such infections are usually created for money extortion it may seem extremely strange the note does not demand any payment. On the other hand, as explained earlier it is entirely possible the malware could still be in the development stage; and in such cases, it is quite normal for hackers to leave unfinished instructions or short messages that do not make any sense. After all they are just testing the threat and do not expect to receive a ransom yet. Under the described circumstances, we would recommend not to waste any time with Avcrypt Ransomware and eliminate it at once. If you wish to remove it manually, but need some help with this task you should simply follow the instructions added at the end of this text. Also, users who find the task a bit too complicated could download a reliable antimalware tool instead, set it to scan the system, and then wait for the results. Together with a list of detections, the chosen tool should display a deletion button; click it, and all identified threats should be removed. Navigate to the folder where you downloaded the malware’s installer, e.g., %TEMP%, %USERPROFILE%\desktop, %USERPROFILE%\downloads, etc. Click Enter and find a suspicious executable file with a random title. Find a suspicious value name, for example, it might be titled Windows and should point to the file you erased from %APPDATA%. Right-click this value name and select Delete. 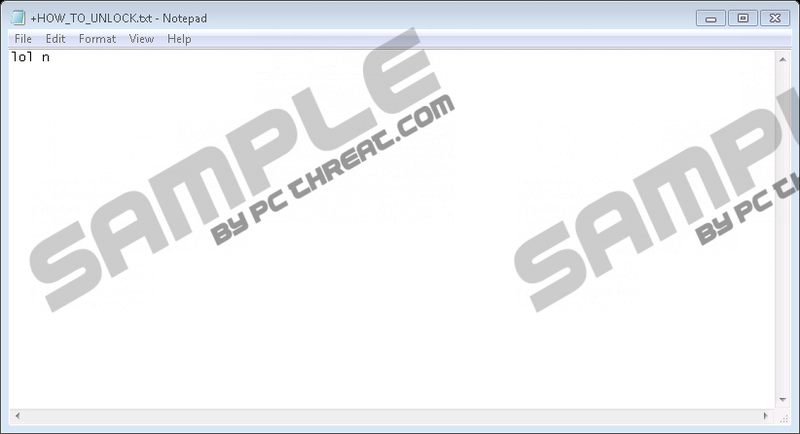 Quick & tested solution for Avcrypt Ransomware removal.